This is an Update to my Update to my original post about my experience with Obstructive Sleep Apnea (OSA) and my success with four years of CPAP treatment which has changed my life. My recent trip to the ER to stabilized my heart rate was a new development that I mentioned at the end of my original post on Sleep Apnea. After a visit to my cardiologist for an Echocardiogram and Nuclear Stress Test, and wearing a 24-hour holter monitor, I was sent to see an Electrophysiologist. Finally, I have a diagnosis of AVNRT (Atrioventricular Nodal Reentry Tachycardia) and am scheduled for a Cardiac Ablation next month. AVNRT is a form of supraventricular tachycardia that has been with me for awhile over the years and will only get worse as I get older. There are also signs that Untreated Sleep Apnea is connected with the development of heart arrythmias. My sleep apnea went untreated and undiagnosed for a long time. So ……. here I am! Cardiac Ablation has few risks and will eliminate the abnormality so I’ll be feeling much better going forward. This post is a wee bit longer than my usual posts. Awareness is Important! It’s been four years since I started treatment for Severe Sleep Apnea. It’s changed my life! Or maybe I should say that I never realized before just how my living with undiagnosed/untreated sleep apnea over the years had affected my life. 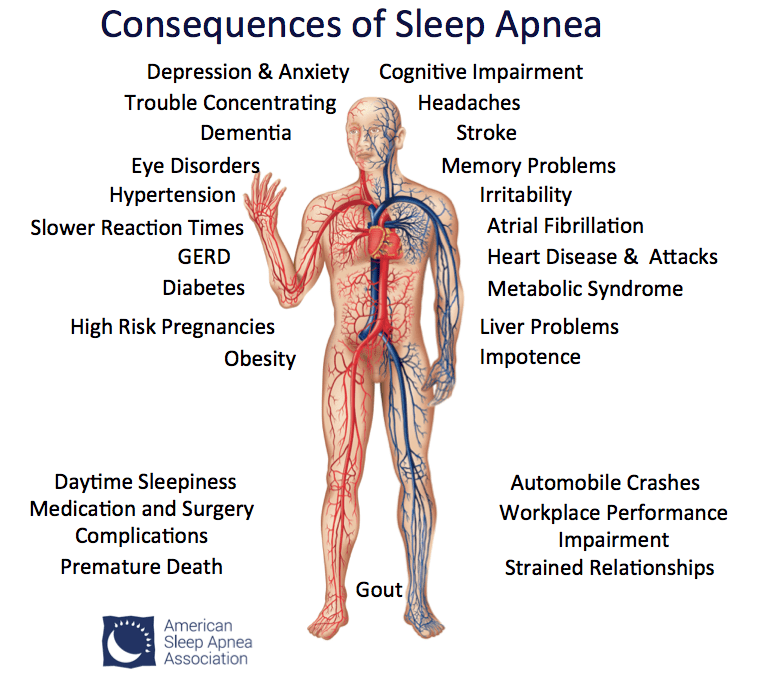 OSA (Obstructive Sleep Apnea) is one of the most under-diagnosed conditions that can ultimately lead to serious, life-threatening consequences if left untreated. It affects men, women and children; overweight and thin … and it has many causes. Upon reaching my 70th birthday, what I considered to be a fairly healthy life began to spiral downward with a series of symptoms that were puzzling for both me and my doctors. Over the years I had had what seemed to be age-related medical issues that I was quick to address for the best outcome. Looking back, in hindsight, I can now connect the dots to what I’ve come to understand were symptoms of Obstructive Sleep Apnea. There were times over the past 30 plus years where I struggled with low energy, feelings of depression, racing heart, nausea, fainting spells and anxiety. Coping with everyday stresses were also complicated by the early onset of menopause in my late thirties. Most of the time I approached these symptoms in a proactive way without medication by learning about exercise, diet and mind/body balance techniques. Never in all my proactive approaches over the years did I ever learn, nor was it ever brought up by the doctors I’d seen, that I might have Sleep Apnea. There were thyroid checks, blood tests and heart tests ~ along with reassurances that nothing abnormal was found other than an insignificant tricuspid-valve leakage. In the early Eighties it was confirmed through FSH blood tests that I was indeed in the middle of early menopause. Then, as I approached my seventies, symptoms became more troubling. The expected onset of spinal stenosis, along with a family history of joint replacements, were complicated by vascular symptoms in my legs where I would lose control of coordination and feeling. There was a series of surgeries over the next years for EVLT (Edo-Venous Laser Treatment), Lumbar Laminectomy and, last but not least, THR (Total Hip Replacement). It was while I was in the hospital right after the THR surgery that my son, a cardiologist, saw that I had stopped breathing which immediately confirmed his suspicions that I might have Sleep Apnea. My cardiologist was contacted and a sleep study was ordered. Up until that time, it was progressively looking like I was developing A-Fib and Tachycardia. I was prescribed blood pressure medication and set up with a heart monitor for tracking the events where my heart rate would become so fast that I couldn’t read a pulse. I’d be waking up many times in the night with my heart pounding so hard I could feel it in my neck. When walking up an incline I was finding myself short of breath and was attributing it to signs of aging. A trip to the Emergency Room after I passed out at work forced my decision to stop part-time work. The ER doctor did all sorts of tests while I was there. His final diagnosis was Vasovagal Syncope (fainting) and he sent me on my way. No mention of Sleep Apnea. So, when I received the call from the Pulmonologist who prescribed the Sleep Study for me four years ago I was stunned by what she told me. I had Severe Obstructive Sleep Apnea! No way! AHI 43 events per hour (stopped breathing); Sleep efficiency @ 51%; Oxygen level @ 80% (dangerous). Over the course of the last four years of treatment on CPAP I’ve been catching up on activities that I never had the energy for in the past. Daily fatigue had drained me in so many ways and I thought I’d have to let go of so much that I’d hoped to do in retirement. Well, it’s never too late! It’s never too late to begin writing your story; It’s never too late to begin watercolor sketching; It’s never to late to try out on-line dating; It’s never too late to do foreign travel; It’s never too late to change your perspective on things; and It’s never too late to be young at heart! This is the CPAP mask that I’ve found works best for me! I hardly know that I’ve got it on and now my AHI is <2.0 and my oxygen level is 99%. I wouldn’t go to sleep without it. All of my symptoms are gone! No more anxiety, no more racing/pounding heart, no more fainting, no more waking up many times in the night and no more shortness of breath. Now I get lots of restorative sleep (8 to 9 hours) and I’m dreaming again because I’m spending more time in the very important deep-sleep stages of the sleep cycles. My blood pressure is back to normal and staying stable. My medications have been cut in half. So I hope my sharing my experience will encourage anyone who notices some of these symptoms to ask about having a sleep study done. 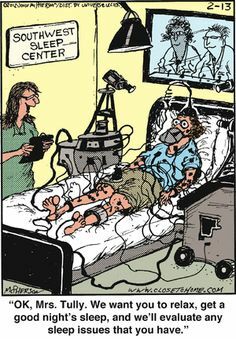 And if you are diagnosed with Moderate or Severe Sleep Apnea I hope that you’ll hang in there with the CPAP treatment. It’s all worth it ….. and it may save your life. The cardiac symptoms have returned in full force after four years on CPAP treatment where I had no Atrial Fib/Atrial Flutter and Atrial Tachycardia symptoms. I spent 5 hours in the ER this week with high blood pressure and high heart rate. The ER team did a great job in stabilizing my heart rate and now it’s a matter of just finding the best medication adjustment for this new development.